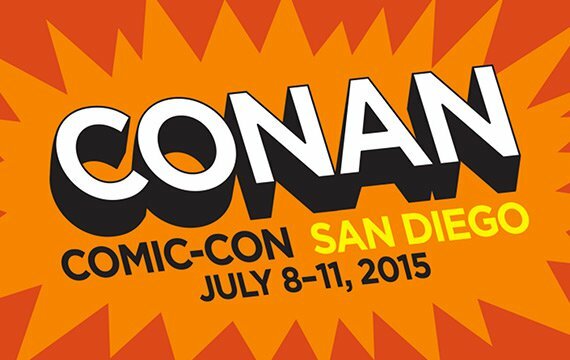 My hands are shaking a bit as I type this because San Diego Comic Con is only two weeks away! In two, short weeks I am going to be attending panels, battling the masses for swag, and attempting to soak in as much as I can in the Gas Lamp in the name of science. While the action inside the convention center is the main event, the off-site offerings have dramatically improved each year. Today I will give you my top four off-site events of 2015. 1. Conan at Comic Con - Conan O'Brien has announced that for the first time ever, he is going to tape four shows during Comic Con. He is going to occupy the Spreckles Theater in downtown San Diego and tape shows on Wednesday, Thursday, Friday, and Saturday. The demand for tickets far exceeded the supply and like many others, I am waitlisted and hopeful I still might be able to attend. The guest list is sure to impress and I can only imagine what types of hijinks Conan and Andy will get into in San Diego. While it looks unlikely I will be in attendance, I am excited to watch all of his shows from Comic Con. 2. 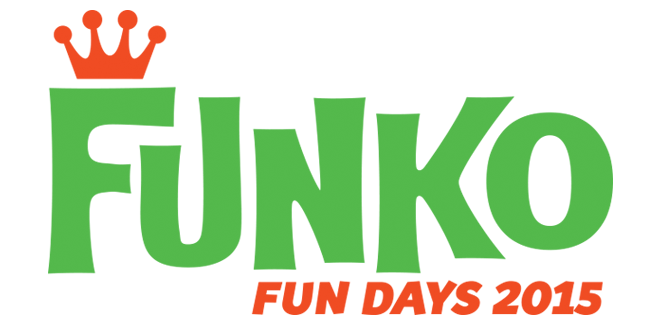 Funko Fun Days 2015 - Last year's surprise hit for me was attending Funko Fun Days. I had no idea what to expect, and after three hours of madness, I walked away with a huge smile on my face and had turned my brother into a Funko Pop! collector. This year Funko moved into a bigger location and still managed to sellout within a matter of hours. I am very much looking forward to a fun night with fellow collectors that includes good food, good drinks, and some fun giveaways. 3. Hop Con 3.0 - My brother and I have made The w00tStout Festival an annual tradition and I can't wait to begin my SDCC experience enjoying some gourmet food paired with exclusive brews. Wil Wheaton has packed even more star power into the event this year, which includes Greg Koch, Drew Curtis, Aisha Tyler, Kevin Eastman, Dave Johnson, Mitch Steele, Kris Ketcham, Richard Rossi, and Alexis Light. SDCC can be a very overwhelming experience, and events like this are the perfect calm before the storm. There will be over 35 beers on hand, including seven that can only be had at this event. I am getting thirsty just thinking about it! 4. The Nerd HQ - The Nerd HQ, presented by Zachary Levi and The Nerd Machine, is back again and is moving into a new venue. The Nerd HQ will be moving into the New Children's Museum in downtown San Diego in its largest venue to date. While the larger venue made me wonder if it would remain as intimate as it has in years past, the Conversations for a Cause are limited to only 200 tickets each. In the chaos that is Comic Con, I have found the Conversations for a Cause to provide a great relief to the madness and give the fans a truly unique and personal experience. 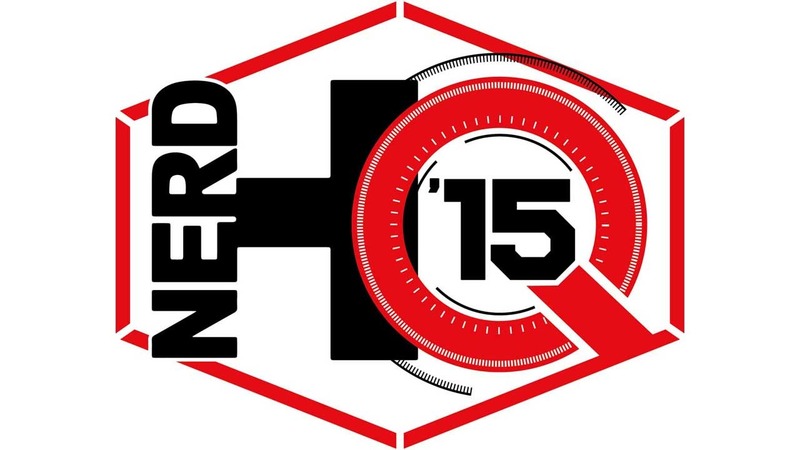 The Nerd HQ is also partnering with IGN and AMD and will feature an entire floor dedicated to gaming. Raising funds for Operation Smile, I am happy to see that this labor of love is returning once again.